La Marette is perfectly situated for cyclist of all levels. A lovely couple stayed for 2 weeks, fitness fanatics and mega cyclists. They kindly put together a "guide" to road routes and excursions from La Marette. We often have the Tour de France pedalling by as the town of Saint Meen-le-Grand (15kms) has had three yellow jersey winners. So the area is very used to cyclists on the road and routes are clearly signposted. Whether you are on stabilizers or in professional lycra, there are some good routes to explore the surrounding area. 2014 at La Marette had a plethora of avid cyclist. So with their experiences, please find below the comments from the budding cyclists. Saint Domineuc - Easy route, all on the flat, about 12kms to Tinteniac (4 1/2 yr old managed on a balance bike) - also canoeing available in the area! Cycling along the Rance is a must and has some idyllic spots to stop for lunch. So pack up the car, affix the bikes, book your ferry (don't forget you get a 20% on Brittany Ferries) and come and stay at La Marette. For those of you who would like an organised cycling holiday, contact Bikecation and please mention La Marette Gites. This year, La Marette has teamed up with a local business in Caulnes, CycleXpress. 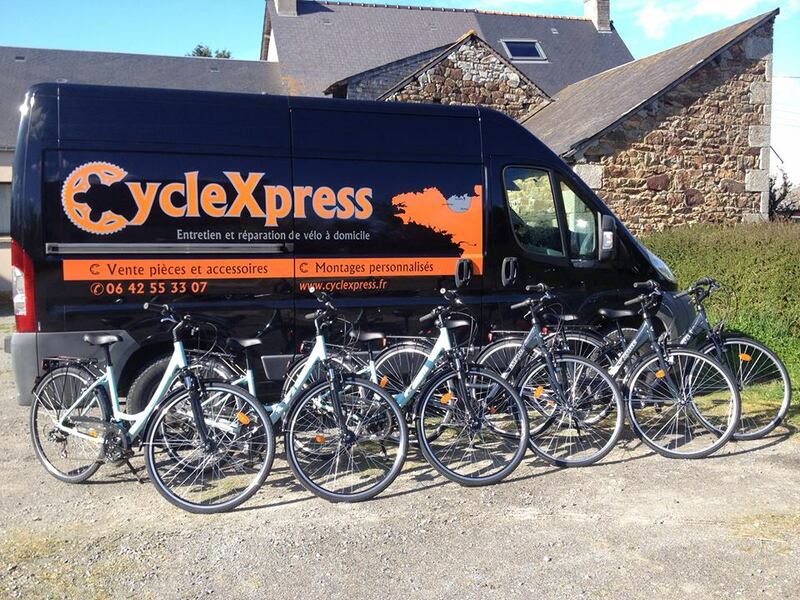 Olivier is able to deliver bikes for hire either on a daily or weekly rate. To ensure you don't miss out, please put in your request in advance. Bike hire is to be paid for in cash in euros on delivery.